In this post, I (kenny) will do a summary of the happenings last Fri/Sat. This includes your reflections written on the post-its pads. Due to the practice of registering children half an hour before session starts, briefing of volunteers were carried out in a rush manner. Two new JSS volunteers (Adna and Jaslyn) joined Friday sessions to help out. Both are currently Sec 2sthis year and will be able to commit long-term. One of the volunteer allowed parents to go in the room and view how sessions are carried out. Due to immense stress and pressure, many volunteers crumbled and resulted in a Failed session for Purple Group. Toilet Breaks was horrendous, all 3 classes released the children at the same time. As NTUC Fairprice rejects our requests to sponsor us fruits due to manpower and resource contraints of sending 2 batches of goods to TJCC per week, we used apollo biscuits as substitutes for snacks. Debrief was conducted in friendly and lively atmosphere and the pratice of "post-its" inherited from the Dec camp was adopted to shorten the debrief duration to prevent volunteers from reaching home too late. Miscommunication still needs to improve on as many volunteers never made the effort to check out the lesson plans posted here donkey months ago in December. Some even dont know the existence of GOR blog. SMS relay system will be used from sessions this week onwards to notify all on what to expect and do for sessions. I think that today's session is a Success! All the children are co-operative, we completed all of the activities on time. Except I think that the three different groups should decide on timing of the toilet break to ensure that it is not chaotic. Today's Session was very fun. The Children are enthusiastic. however, there is one student who keeps drawing and dont want to participate in the games. It is sad for me. The toilet break was chaotic. The children are too noisy and there is a jam when children are released. I find today's session quite ok and successful for the first session. The session went very smoothly and the session was very fun, especially the big book segment. But one thing about the session that wasnt good and can be improved was the timings of the toilet break for each class. At first we had no idea on what to do due to insufficient time for briefing. Due to registration procedures, session was chaotic in the beginning and turned out well as time goes by. Overall, we did a GOOD job. I find today's session very successful. It is better then my expectation. Everything went on smoothly. The children were all very cooperative. Simply to say, it was superb! The lesson was awesome! It was fun! Simply to say, it was PERFECT! The children had enjoyed themselves by being attentive, cooperative and intelligent. they are able to read as a class and follow instructions. I love them. The children are good. The children are Cute. The session is Awesomez! This sessions seemed not bad to me. It is understood since the children are new to each otherand thus many children are not really enthusiastic. But, I believe that as time goes by, they will know each other and really enjoy themselves. On the other hand, we should improve ourselves and make kids learn from GOR! Today, I am very satisfied with Yellow Group because the children were so co-operative. Today's GOR was chaotic, but that is what that always happen during the first session right? So, we will Jiayou and dont allow parents inside the room. Today's session was really chaotic.The children were inattentive as their parents were in the room and they kept looking at them. so we had hard time trying to get their attention. Today's session was a mess due to miscommunication. But i think that since it's the first session, we can definetly do much better for the upcoming sessions. I think systematic is the key to achieve this. It was a bit chaotic as many parents overlooked the need to register their children and went into the dance studio immediately. Big book was well-executed by the pair Peiwoon and Kenneth, and was brought by loud cheers of children. Toilet breaks issue not a big problem here. 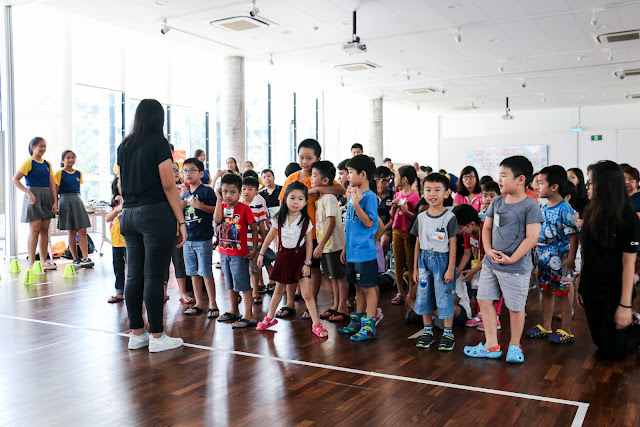 Apparently, having about 10 volunteers (including Khenghwee, Kassandra and Dajie) can cope with an attendance of 54 children splitted into 2 groups, which puts off the scare that sessions may turn into turmoil and become a living nightmare for volunteers.